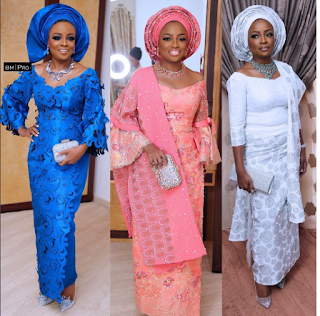 The much talked about traditional wedding of Oyin Adenuga has taken place in her father Mike Adenuga's banana Island residence in Lagos, but what we can't stop talking about are the attires she rocked for the event. She looked really gorgeous in all the attires but my favourite is the blue attire, aside the fabric the colour suits her skin tone plus the choice of silver accessories gave the attire life. What do you think?